I strive to paint as my mother cooks. For us, the process is absorbing, spiritual, sometimes transcendent – and complete only when you are involved in the outcome. My goal is to initiate shared experiences, that we’ll enjoy again and again. I revel in bold colors applied with big brushes and palette knives. I’m looking for the essence of the subject, its truth, more than its details. Rather than rein this state in, I work to sustain it. Thus, I ensure my paintings are never too finished; in fact, they succeed only when there are conceptual spaces for you to fill. There’s no right or wrong way to do that. If you stand closely to my painting, you should begin to feel the way I felt in creating it. If you step back, we can resolve the image together. Lisa Noonis was born on September 28, 1963 in York, Maine, the fifth child in a family of seven children—five boys and two girls. Her parents, Peter and Sofie Scontras, are first generation Greek Americans, and still live in the gracious New England colonial where Lisa grew up in Kittery, Maine. The family was close and loving, fostering in all the Scontras children a strong sense of family, hard work, responsibility, ambition and independence. Lisa found art early in life. At age 10, in 1973, she won first place in the Strawbery Banke Children’s Art Festival in neighboring Portsmouth, NH. Later, in high school, she showed so much talent that her art teacher, Marcia Ryder, insisted that she go on to art school and pursue a career in the fine arts. Instead, Lisa’s father pushed her toward engineering as a more practical way to earn a living; and in 1981, she enrolled as an engineering student at the University of New Hampshire in nearby Durham, NH. After two semesters, having had enough of physics and advanced calculus, Lisa knew that engineering was not in her DNA. In spite of her dad’s disappointment, she transferred to the University of Maine in Orono the following year, self-majored in art, communications and advertising, and earned a Bachelor of Arts degree in 1985. In the fall of that year, she attended the Women In Advertising Conference at the Parsons Fashion Institute of Technology in New York City, returning shortly thereafter to the Southern Maine and New Hampshire Seacoast to pursue a career in advertising and public relations. She began dating Tim Noonis shortly after returning. The couple married in 1989, and moved into a home in Seacoast New Hampshire, where they live today. After working briefly for a public relations firm, Lisa embarked on her own as a freelance graphic designer and art director, eventually forming her own advertising, marketing and design company. For the next 15 years, she served a variety of businesses, institutions and marketing communications firms throughout New England, earning awards for design excellence and enjoying steadily increasing financial success as her reputation grew. But something was missing. Despite the satisfactions and financial security that came with commercial design, Lisa always felt the need to express something more personal and more permanent than ads, logos and brochures. In 2004, that feeling came to a head: she made a leap of faith by renting a studio in an old Kittery school building, and began to seriously pursue painting for the first time. 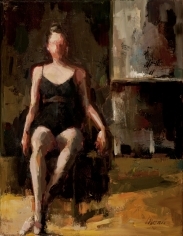 Lisa spent a year studying technique under the well-known painter Dennis Perrin during the early 1990s, and in 2012 took a master class with acclaimed American landscape artist Eric Aho. 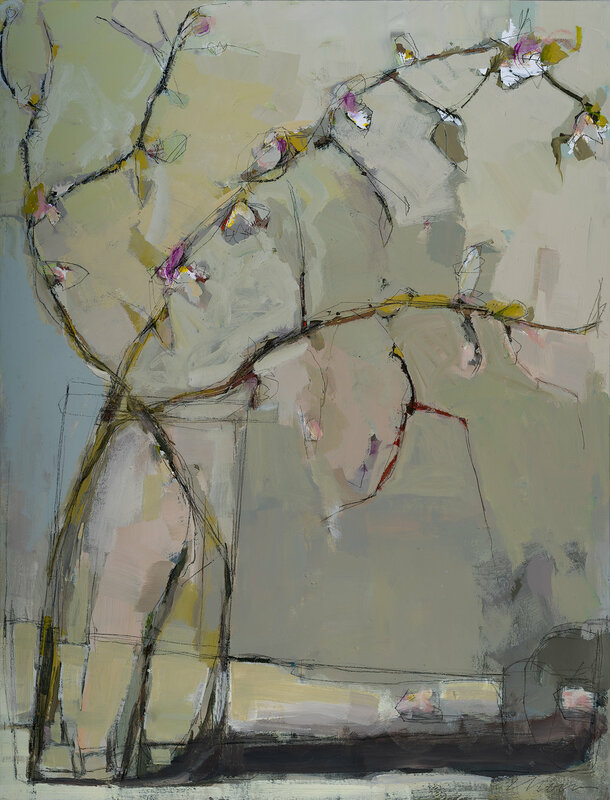 But for the most part, she learned on her own by painting every day—still lifes, portraits, landscapes, studies of the human form, anything that would sit still in the studio or in front of her canvas. 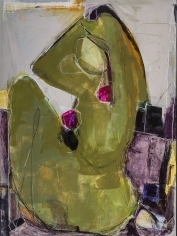 Her work and vision, visibly influenced by such masters as Cezanne, Modigliani and Morandi, have slowly developed over the years since 2004 to express more and more the inner vision of the artist. Realism has evolved into impressionism; painting from life into painting from memory; small canvases into large. Today, Lisa’s work continues to evolve and mature as she explores the essences of objects, people and places in her world. 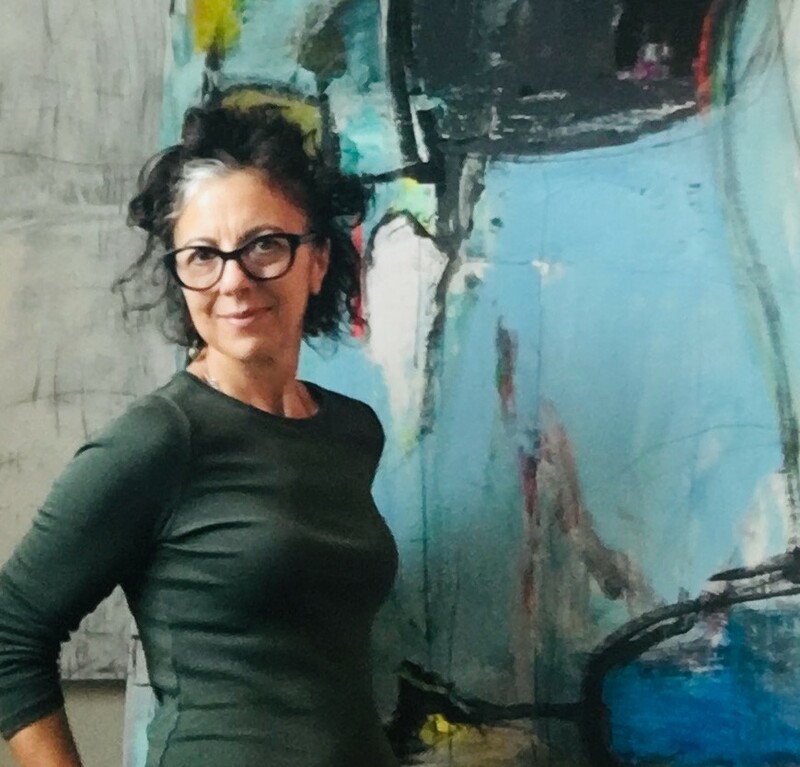 It appears regularly in galleries throughout New England and down the East Coast, as well as in the collections of the growing number of people who are moved by the shared experiences her paintings invoke.